Premiership Rugby is proud to announce that all Round 19 games across the weekend of 12-14 April will be dedicated to Restart – the charity which supports professional players suffering from serious injury, illness or hardship. Restart Weekend 2019 hopes to raise £20,000 for Restart’s confidential counselling service which helps players facing mental health struggles. 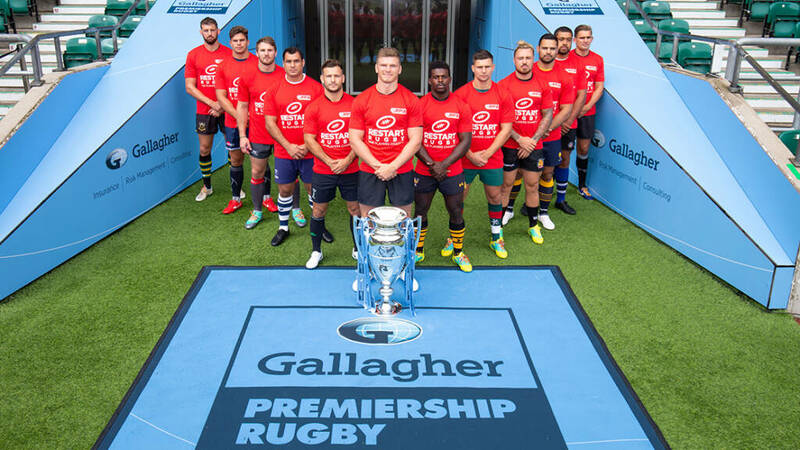 “Player welfare is a key priority for Premiership Rugby so we are delighted to be partnering with the RPA this week to promote the brilliant work of Restart,” said Wayne Morris, the Community and CSR Director at Premiership Rugby. “Often the pressures that can act as a catalyst to mental health issues are magnified for professional sportspeople. From coping with injury and intense pressure to performing week in, week out, meeting such high expectations, players experience a unique set of pressures. Join us and support Restart this weekend. The Restart team will be fundraising at each game so keep an eye out for their volunteer crew!